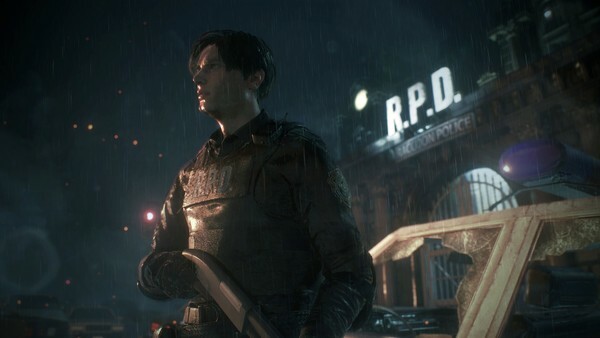 The long-awaited Resident Evil 2 remake dropped on PC and consoles this week. Now we've spent over a week playing through the plague-riddled paradise that is Raccoon City once more, has the stench of awesomeness which infected the PS1 carried over to the modern era? Or does it just bite? First a bit of backstory. I'm a massive Resident Evil fanboy; it's without doubt one of my absolute favourite franchises. I began early with my cousin, playing through the original game together, but to be more truthful, he played as I watched through slatted fingers. I’ve followed the series across every iteration, the good and the bad. Hell, I even gave Operation Raccoon City a whirl. That was fun. 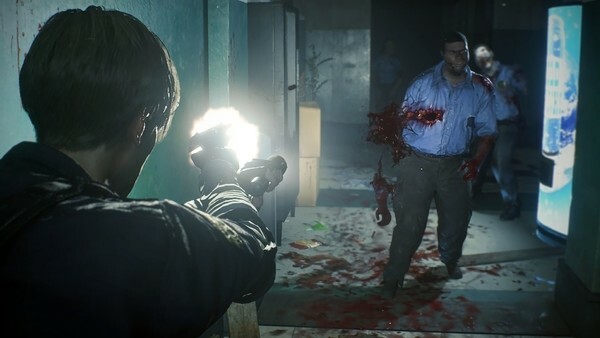 So when Capcom announced they were working on a full, from the ground up remake of Resident Evil 2, one of the most critically acclaimed games in the series, my heart was pumped full of that sweet G-virus. They’d already showcased a masterful handling of the original Resident Evil with a loving remake which eventually made its way to current gen consoles in 2015, but this was something different. Here, the devs have not only slapped some gorgeous visuals onto the product, but they’ve completely changed the way the game plays. For a start, gone are the fixed camera angles of the past, and with them gone are the tank controls which made battling against enemies feel like you were also being double teamed because of the inability to move out of the way in time. In its place is a gameplay style which allows freedom of movement and an over the shoulder aiming which doesn't feel obtrusive down when you switch between the two. I found that I was able to avoid having a chunk taken out of me even in the tightest of corridors with the right timing, patience, and maybe a cheeky bullet or two. Speaking of bullets, the shooting feels incredibly tight which is essential for a survival horror game of this ilk. Leon and Claire have to remain stationary to get those pixel perfect hits, but the window between missing the side of a barn and honing in is short enough that it you don’t need to stay still for long to fire off those potentially life saving rounds. Yet each weapon has its quirks. The shotgun, for example, isn’t something you can unleash to wipe out a whole room of enemies - you need to be close to make use of its devastating effects. This means that even if you wanted to run from lickers, hounds and mutated scientists, you’re going to have to face your fears in order to rid yourself of them. Weapons can be upgraded further, making even the standard 9mm pistol you start with an absolute beast by the end of the game - even if it does end up looking as horrible as some of the enemies you’ll be facing. On that subject, this is without a doubt the best looking Resident Evil game I have ever played and definitely the best acted. It’s still cheesy as all hell, dialogue-wise, but it suits the genre down to the ground. From the way rain brings out every contour on characters' faces to the absolutely disgusting mass of muscle and nerves that make up Birkins' body, there are moments of sheer jaw dropping fidelity that totally lost me in the moment. The shuffling stars of the show - the zombies - have been given exceptional attention, with there being so little repetition in models that it creates a sense of immersion that’s unparalleled. Each carries with it battle scars, torn clothes and an insatiable hunger which makes even these base level monsters positively drip with love from the developers. According to a recent interview with some of the programmers, the models are based on staff members, which makes it all the more horrifying to know what you can do to them. Shooting a zombie in the head in the old games resulted in a knockback and a spurt of the good old red stuff. Now, their skin is sheared off, jaws are knocked from their place and whole heads can be turned into body jam. You can even lop off arms and legs should you be so inclined. This is not for the faint hearted, but this degradation system allows you an unflinching look at how much damage you can do to these nightmares. In fact, everything drips with dirt, grime and viscera, making the very world feel lived in and aggressive. Lighting is used to fantastic effect, and is even better when there’s a sheer absence of it. As you trudge through dark and murky floors, sewers and labs, your flashlight becomes your best friend, as who knows what’s lurking out there in the dark? 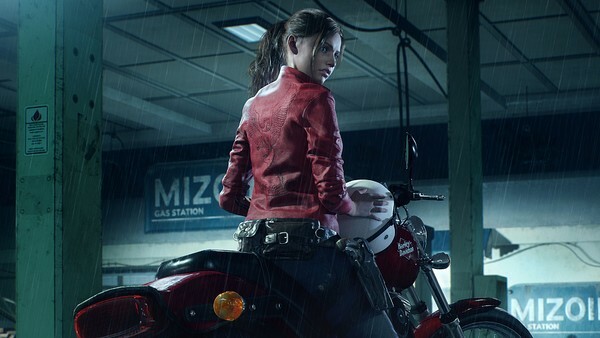 This small alteration reflects a mentality that’s been updated from the original Resident Evil 2. In the original, static cameras hid enemies off screen, meaning players had to steel themselves as they ran headlong into who-knows-what. Here, it’s the flashlight and its iris that obscures enemies from view. It’s a fantastic addition and one that sells the horror of the title perfectly. And there are many, many scares in this substantial game, split across two main campaigns, two alternate campaigns and extra scenarios, and yes, even ones involving anthropomorphic tofu. Fans of the original will find a sense of familiarity here, with rooms and puzzles lining up more or less as you’d think, although great care has been taken to mix things up a bit. There are many instances where the remake wants to make its own mark, with entire encounters reworked in ways that range from exhilarating to teeth shatteringly suspenseful. The most obvious of these is the licker corridor early on in Leon's campaign. In the original, it’s one of the first things you can encounter, complete with a horrifying cutscene. Yet in the remake this moment is teased out for longer, making its ultimate delivery feel fresh and equally terrifying. There's no better example of this than the encounters with Mr X - aka The Tyrant. At first glance, this bald headed fella looks like one of the Teenage Mutant Hero Turtles in disguise, but you will not be laughing in the slightest if you see him rounding a corner to pursue you. The only warning you get is the stomping of his feet off camera and boom! there he is, squaring up his shoulders and then charging towards you. It’s absolutely trouser staining. The game has gone to great efforts to make sure this isn’t an experience for the die hard fans alone. The reworked encounters are accompanied by the inclusion of an autosave feature, the removal of annoyances like ink ribbons, a map which shows items that you might have missed or been unable to carry at the time, what keys you’ll need to get past each door, and a small objective tracker which can provide a quick reminder of what you need to accomplish. 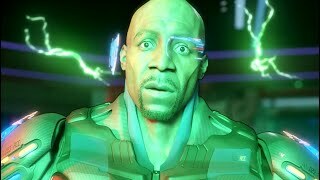 These quality of life improvements are without a doubt a very smart move by Capcom, as it makes the game accessible to all who wish to enter the darkness, and means that if you do so happen to get absolutely smashed in half by, say, a hulking alligator, a restart near that encounter allows you to jump back in without the disappointment of losing an hour or two's progress. If you’re an absolute purist then the autosave feature can be switched off by upping the difficulty, which also adds ink ribbons back into the game and turns enemies into foes that would make even the original game look like a cakewalk. The new “recommended” experience is perfect for newcomers and those jumping back into the franchise, because it removes a steep barrier to entry while keeping player investment high. There’s also the use of the combat knife as a “get out of mouth jail free card” as you can stab an enemy with the use of a button prompt if you’re grabbed and buy yourself some breathing room. Item management has been simplified into a grid where each item, no matter its size takes up one slot. With each measure of accessibility the game provides, it's sure to add a counter to stop it becoming too easy. The knife, for example, degrades over time, and if you’ve used it to stab an enemy as a counter, it’s stuck inside that enemy until you kill them to get it back. There is still an absence of ammo in the game so you’ll need to pick your battles, and you can’t just sprint past all enemies in the game. The use of bosses also acts as a soft reset for players hoarding too many items, with a notable encounter with William Birkin that saw even my swathes of ammo nearly run dry by the time he’d taken a plunge. This, plus the new combat/movement system, makes boss encounters fun, something which the Resident Evil franchise hasn’t always been consistent with. The bulk of the criticism that can be leveled at the game owes itself to the source material. There's a substantial amount of backtracking, one of the hangovers from puzzle based barriers, and if you’ve taken out all the enemies in an area then you might find sections of inactivity as you traipse from point a to b again. If you want to get really finicky, you could argue that the sombre setting of a zombie outbreak is feels a little silly in contrast with some of the puzzles - not to mention the relative ease of those puzzles. Yet this was a “problem” with the original game; too many changes and it'd lose the charm. 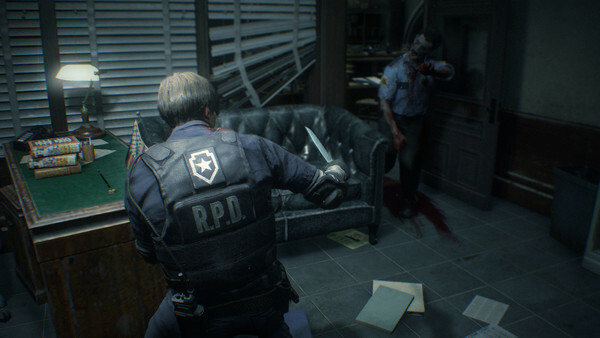 What Capcom have done is put serious meat on the bones of Resident Evil 2 in nearly all other areas, and the experience feels so fresh that it’s at once a perfect honoring of the original game and something entirely its own. With collectibles such as figures, concept art, and alternate outfits based around in game challenges, there is plenty of replay value on offer. As it stands, this version of Resident Evil 2 is setting the benchmark to which all other remakes should aspire.